As you may know, I am in transition to being a minimalist. 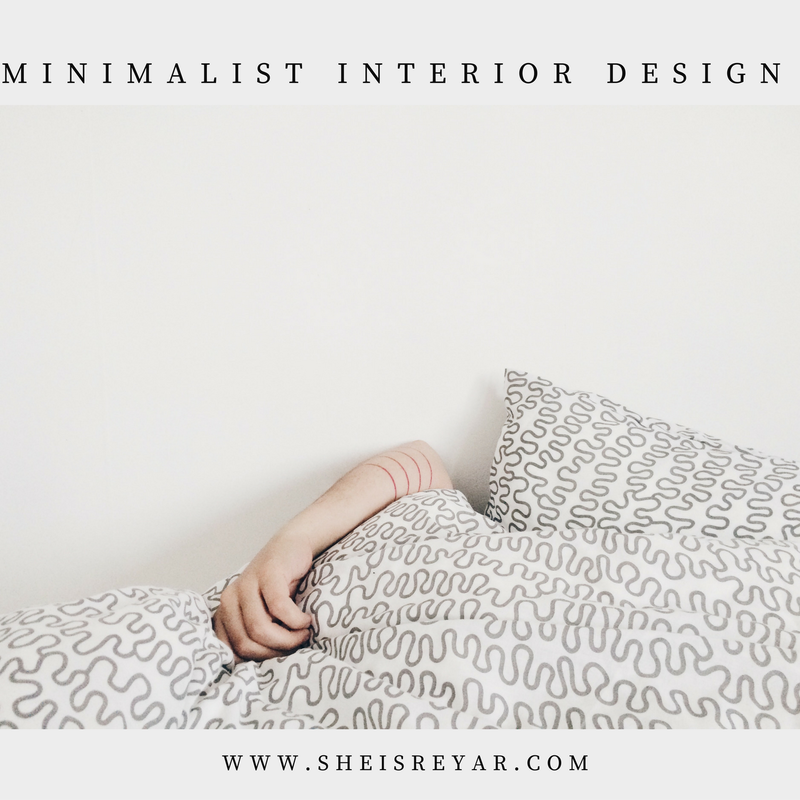 As I research more and more about the topic, I always come across the interior aspect of minimalism. When I first saw it, it was breathtakingly beautiful and simple design. Since my room was a rental, most of the furniture comes with the room and I couldn’t repaint or change the color of the furniture of the room. I tried my best to be as minimal as possible but it seems that I cannot make the room looks like one of the photos below. 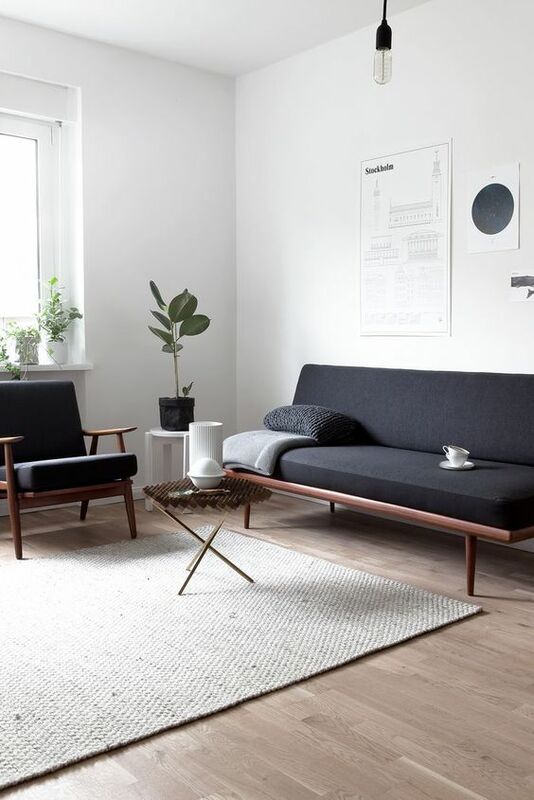 I created a Pinterest board called “Minimalist Interior Design” and I saved all the photos that I think look amazing and worth trying. When I have my own place, I would like to go with all-white-theme with minimal decor with a pop of rose gold and black color. I think it’ll look modern and simple and easy for me to clean. I’m not sure which country I’ll be residing in the future. 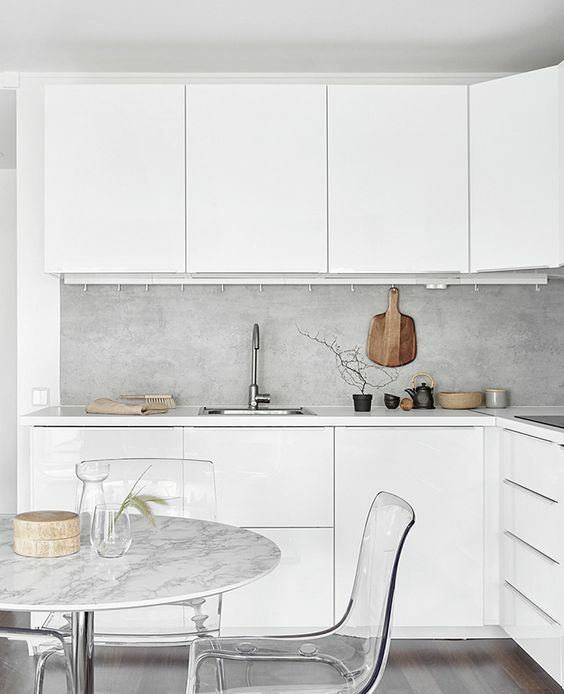 If it is in Singapore, I know that Singapore condos and HDBs (Government housings) are very small in size so minimal decor will look amazing with the rooms. 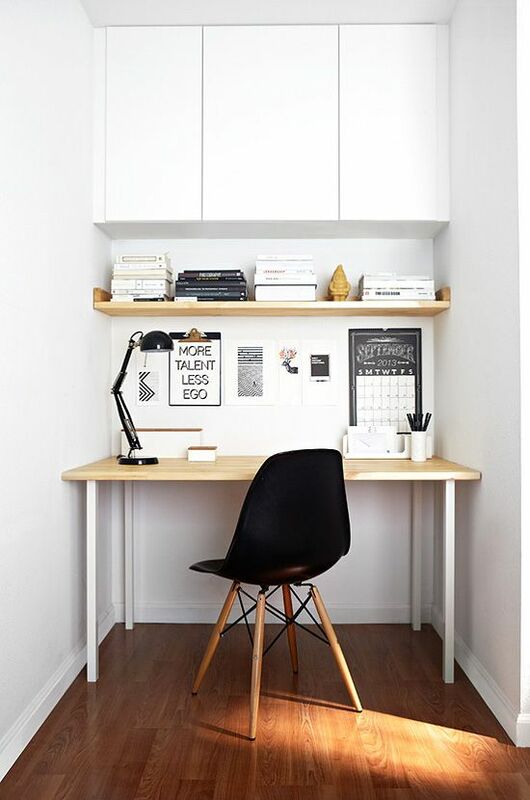 Even though this design image is very pleasant to look, I want to take the wooden shelves and paint them white so that it’ll look very nice with my white themed room.Since I love my knickknacks, I believe that this design will be fit for being minimal decor and a functional desk while it is easy to accessorize and easy to clean. This decor is best when there is a small corner where the width of the room is narrow. It’ll be much easier to decorate and design. I really love a pop of color from the plant and the bronze from the lamp and everything else is neutral. Next, for the bedrooms, I'm very sure that the rooms will be very small so I won't have that amount of space that I would like to have in my apartment. For bedrooms, I am very much sure that the Singapore flats' rooms are too small to fit everything in one room. So my image for my own bedroom will be inspired by this photo on the right. 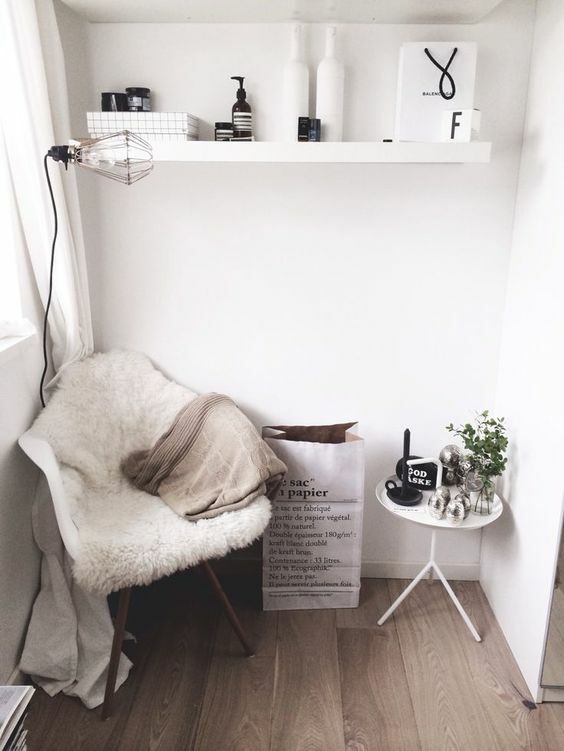 According with my theme, mainly white, I want my bed to be a centerpiece of the entire bedroom with a few plants and bedside table if possible for putting our phones and charging them. I love snuggling in my bed with my blanket and stay cozy. 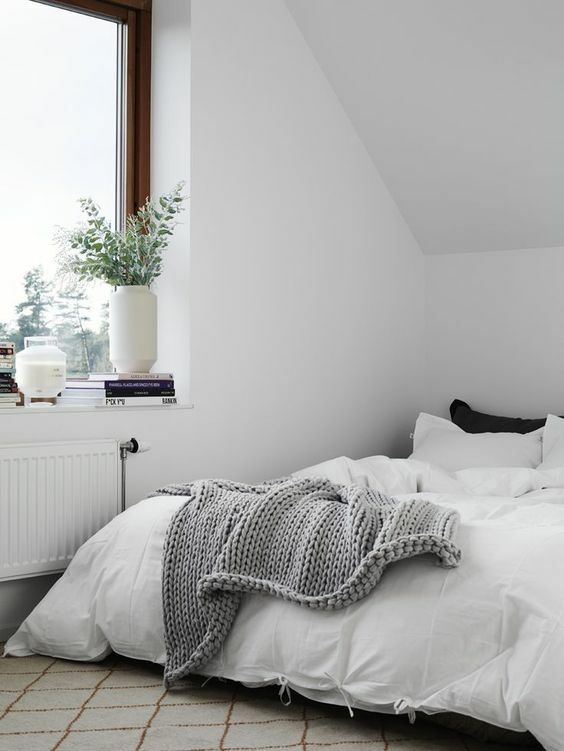 If you are like me who loves white and grey, I would love the bedding to be either white or grey with nice blanket and pillows. I would love to put plants in my room as well. I am not sure about how well I can keep them alive but I really love how the plants represent the calmness for the mind. Even though I am a minimalist, I am not an extreme minimalist who can live with a futon and a backpack. I love my interior to be beautiful yet minimal and mostly represent who I am as a person through interior decors. I hope I have enough room for my dresser if there is no closet in the apartment to store all of my clothes and I would really love to have a television in my room. Ever since young, I have always had a television in my bedroom for entertainment and I love watching movies, animes and series from the internet so I would love to have a television in my bedroom. Having a television in the bedroom is a difficult decision as I am also thinking of having a television in the living room. Possibly, I only want one television for my entertainment but it'll be up to me when I actually have the entire home for myself. I love my black and whites. For my living room, I think I'll paint the walls white and have the black couch with some accent pillows and a coffee table. I would also like to have some plants as a pop of color, some paintings behind the couch to be more internally pleasing for me. I would like to have a television to watch all my favorite shows online. Some books that I love to read, some reference books for our programming languages and management books in a small bookshelf beside the couch. If I have enough space for the bathroom, I would like to have a bathtub since I love taking baths and relax in the tub. I'd like to have a big sink with a counter to store my skincare since my current bathroom does not have storage system to put my skincare. I had to create shelves on the wall which looks cluttered and unorganized. As a minimalist, having a bathroom clean and organized is the huge goal for me. I'd like to make a habit of clearing up all the counters to have a fresh look and organised look in the bathroom. Having a rain shower would be nice but since rain showers are surprisingly expensive to purchase and install so it'll be a additional project for the future. 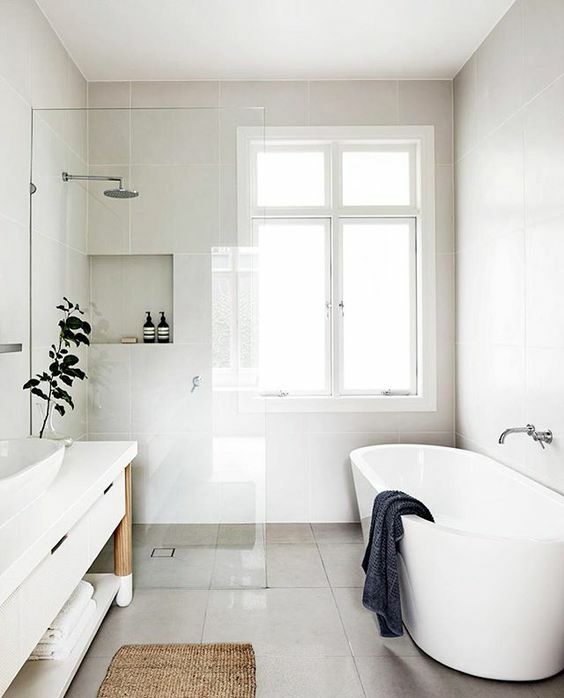 If there is no space for a tub, this kind of clean and minimal design looks appealing to me. My current bathroom does not separate the shower and the sink area so the water from the shower always go to the sink area side and it is really troublesome to clean properly. If I can design my bathroom, I would like to design something like this design that separates the shower and the counter areas. This design also has a large counter space to store my skincare and have the counters clean and clear for more minimalistic look. Singapore kitchens are really small and there are no space for islands in the kitchen area. The design inspired from the photo in the left is small yet functional kitchen and easy to renovate. With my theme of black and white design, this interior looks amazing with simplicity and minimalistic without being a decluttered kitchen. With the amount of cabinets, it is easy to store all the utensils that we use day to day and pots and pans that we use daily. With this amount of storage, I am thinking of having the pantry space with these cabinets to store all the food that we consume. It is easy to let the food sit in the cabinets for so long so I am thinking of creating a way to store the pantry efficiently without having to throw the food later. There are multiple ways you can decorate the balcony. Singaporeans normally install windows for the balcony for more privacy. I have multiple balcony decorating ideas in my mind. 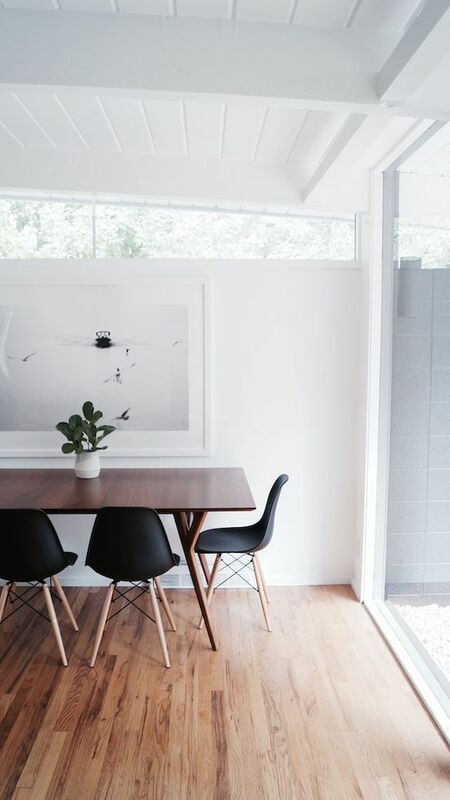 The first decor inspiration is this photo on the right. The balcony can act as a breakfast place where you can sit and have a breakfast with your laptop to check your daily emails. Flowers complement the breakfast area and it can also be act as a place where you take your instagram photos since the lighting is superb from the window. Another area is the dining area. Do you remember that I didn't have a dining table? That's because I was thinking of having the balcony acts as a second place to hang out and have lunch with your significant other while gazing to the sky and talk about the future. Either that or it can be a space where you have your private meetings for your business. Or it can also be a place where you hang out by yourself with a cup of wine to enjoy your alone time. Balconies are really flexible and easy to decorate since it is a very small place to decorate. So you can decorate anything you'd like for your own balcony. Just make sure that it is safe and private for your home. 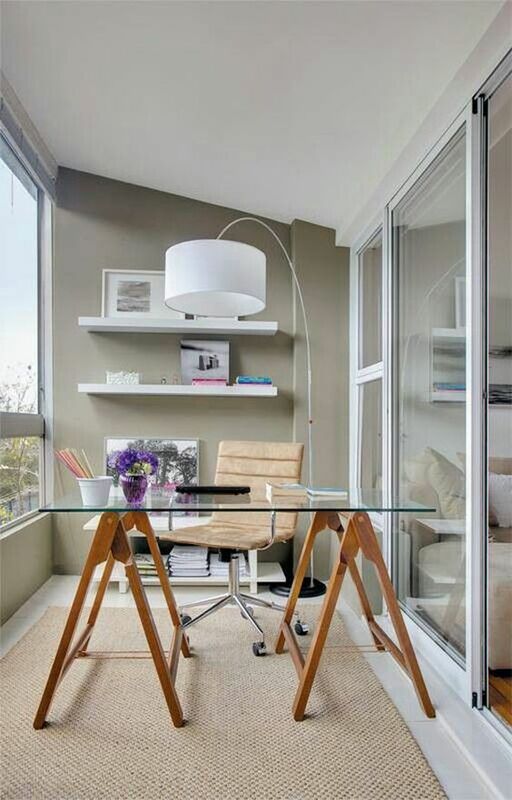 Last but not least, my favourite way to transform your balcony is to have as a home office. 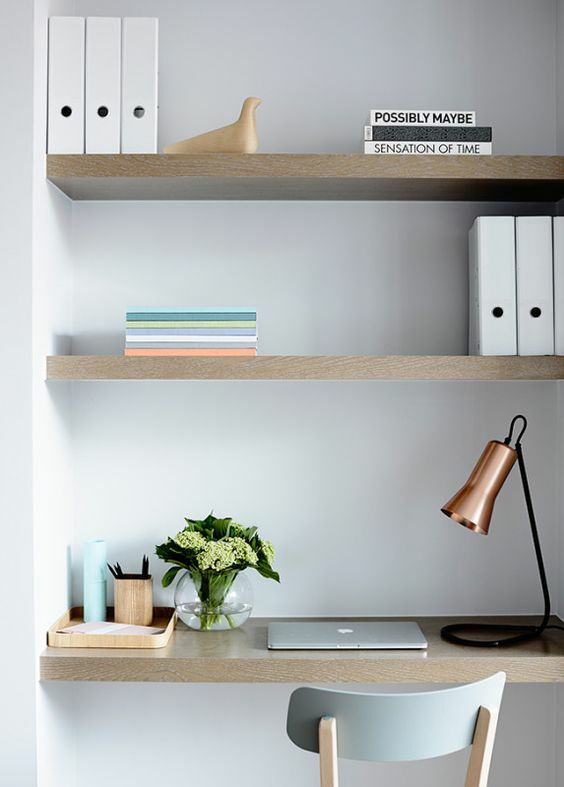 You can put a table and build in some shelving units and have as a quiet and private home office for your work. If you are a content creator like me, you will need a space where you can think and have your creativity flowing without any disturbance. The home office will not be applicable if your home is beside a busy road and at ground floor where it is not a quiet space. If your home is located at a 20th storey and above like me, it is a great way to transform your balcony as your private home office.